If you’re planning a cruise from the Port of Miami from the months of June to November, you may want to prepare for unwelcome weather. Miami is known for powerful hurricanes and thunderstorms as well as cruises and parties. While taking a cruise during hurricane season is safe. It’s good to be cautious and prepared. Embarking on a cruise during hurricane season is safe, and you could get some good discounts; however, you should be prepared for the possibility of a storm changing your itinerary. Since Miami is in the northern hemisphere, its hurricane season runs from June until November. The most active period being from August to October. It is important to note that every season is different and hurricane’s occurring outside of these dates is not uncommon. What happens if there’s a hurricane during my cruise? It’s likely that there won’t be any storms when you go on your cruise, but if there does happen to be one, your schedule might change. Ships have many ways of telling if and when a storm is going to hit, and they always have a backup plan. Since cruise ships can travel faster than storms, you might only have to deal with a little rougher waters than normal as you keep ahead of the hurricane. 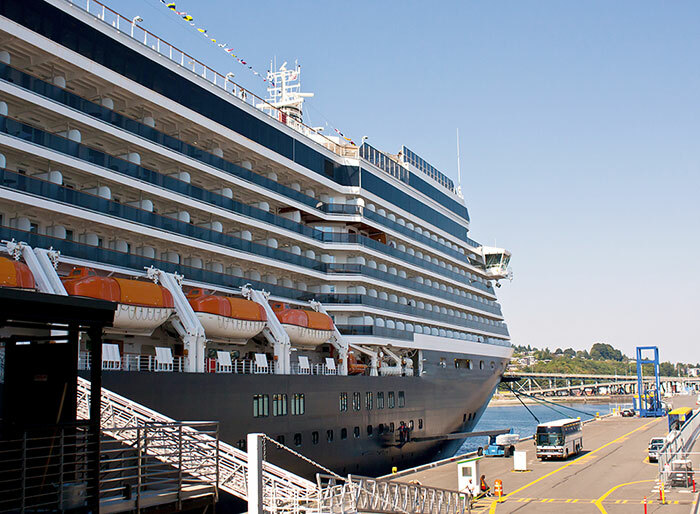 This change in itinerary could result in additional days at sea or docking at another port. Using modern technology, cruise ship operators are aware in advance when a storm will arrive and its path of travel. Because of this, cruise ships can delay travel, change itineraries, or cancel a cruise entirely. While canceling a trip is very uncommon, it does happen occasionally. If your cruise gets cancelled, you’ll get a full refund. Passenger safety is of the utmost importance therefore your cruise captain will ensure that passengers are not in harm’s way. Most likely, no, but you should be prepared for any possibility. If a hurricane looks like it’s going to hit on the day of your embarkation or return, you could have trouble getting to your ship. If you’re flying in to take a cruise, you might have to leave a day or two early or come back a little late. Planes have a much harder time with bad weather than cruise ships do. What should I keep in mind when cruising during hurricane season? If you keep one thing in mind, it should be to stay flexible. You’ll still have a good time, but you might end up having your schedule changed a little bit. Give yourself an extra day or two on either side of your trip in case of bad weather, and don’t be dead set on doing certain excursions. Cruising during hurricane season can be a great way to save some money on your vacation, and it’s safe, too. You might have to be a little flexible when planning your trip, but you’ll still be able to have a great time. Cruising is fun no matter what season it is.